We’ve had the absolute pleasure of working with some truly inspirational individuals recently, who have all gone on to start up their own businesses. From photography, juices, crowdfunding, personal fitness and new-parent networking, we are proud to present a quick look at some of the recent Nwes start ups. Photography by Emily Fae: Inspired by her own recent wedding, Emily Fae (pictured above) decided to utilise her experience within photography by setting up her own business. 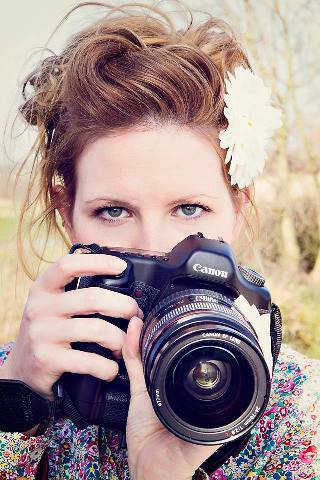 With a keen creative eye Emily excels at capturing life’s special moments, from weddings to portraits. A recent commission includes designing a book cover for a talented author and Emily’s talents will take her far and wide next year, photographing a wedding in Thailand no less! And Emily’s philosophy was “it’s now or never!” Read the full story. Juiceworks: Lawrence Farrow is better known locally as ‘The Juice Guy’ and today serves up delicious healthy juices to the people of Ipswich. It was whilst recovering from a life-threatening illness that Lawrence took the decision to improve both his health and quality of life. Out went the microwave and in came a juicer, quickly followed by a challenging 10k run! And for all those looking for motivation, Lawrence swears by the motto ‘make the rest of your life the best of your life’. Read the full story. Bump and Blush: After enduring countless unsuccessful interviews, Aurélie Poll took the life-changing decision to start her own business. Based in Chelmsford, the young entrepreneur put her wealth of experience managing events to good use. And so Bump and Blush was born, which organises events for both pregnant women and new mums. With plans for the future taking shape, Aurélie is emphatic “The beauty of running your own company is that you can organise your day the way you want.” Read the full story. Crowdsurfer: Based in the lively city of Cambridge, Emily Mackay has pioneered not one, but two successful businesses in the field of crowdfunding. The first project took off when Emily was on leave from her job at a local consulting company and after building up and selling that business, she moved on to Crowdsurfer. The search website provides crowd and peer-to-peer finance, aimed at people who want to invest online. And as for the highlights of running your own business, Emily says “It’s tremendously rewarding, as you see the fruits of your hard work develop into something that other people really value.” Read the full story. Chris Durham Personal Training: Norwich-based personal trainer Chris Durham swapped his 9-to-5 telesales job for a rewarding career within the fitness industry. Inspired to live more healthily, he decided to set up as a mobile personal trainer to reach those that find it difficult to make time for exercise. And with Chris also providing nutritional plans alongside group sessions, corporate events and youth activities, there really is no excuse not to get fit! Chris enthuses “Being my own boss, I can focus on what’s important to me and my own specialities.” Read the full story.